The 10 Best Delis in Missouri! 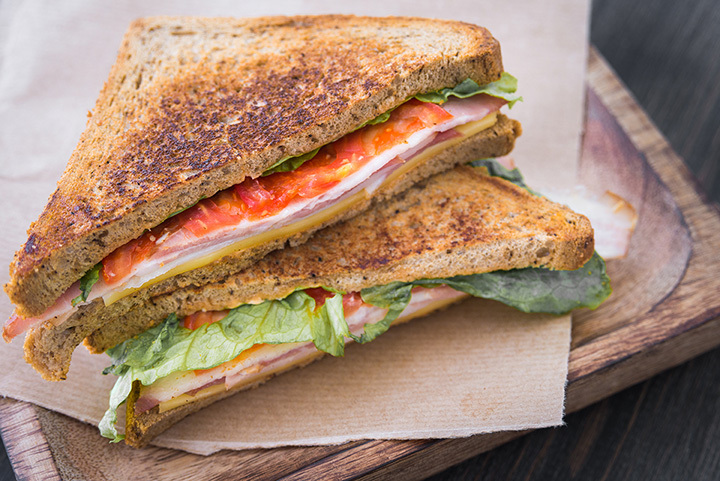 Everyone loves a classic deli sandwich. From traditional hot Italian sandwiches like meatball parmesan, to staples like the pastrami sandwich, you’ll find every variety of delicious sandwich in Missouri’s great delis. Here are a few of the best. Few restaurants receive the unqualified raves that M&M Bakery has gotten—and that includes both their deli sandwiches and their baked goods. Huge sandwiches with fresh bread and thick meat and veggies vie with the apple fritters for best choice, and if that’s not enough to bring you back, the warm, friendly atmosphere will do it. The Lee Street Deli has been in the same location in Columbia—right behind MU’s Fraternity Row—for 90 years, and has become a historic location. It has changed owners, and in the past few decades changed from the Lee Street Shop to the Lee Street Deli, but it has always served sandwiches that generations of people come back for. Not many businesses last the better part of a century, so if you’re in central Missouri, stop by the Lee Street Deli and see why! The verdict about Protzel’s is unanimous: they make a lot of great sandwiches, but if it’s your first time, you must have the corned beef on rye. Protzel’s makes their own deli meats and bake their bread fresh daily, and offer dozens of styles of homemade mustards. They’ve been in business since 1954, and when you bite into that first sandwich, you’ll know why! Nearly Famous has been in Springfield for over 40 years, and for good reason. It’s characterized as a deli with some pasta dishes, and it’s a toss-up which category is more popular. Its unique alfredo sauce is legendary, but it also offers a consistent menu of fresh soups and daily sandwich specials. The desserts are also some of the best in the city! One of the best things about the Carthage Deli is that they have new, creative specials every day—and they post them on their website! You can go there to see what types of fresh soups or unique sandwiches you can try on any given day, or just show up to get your classic favorites. They serve breakfast, lunch, and dinner every day, and they even have daily ice cream specials! Pumpernickeles is an old school kosher deli—the kind of place that comes to mind when we think of delis! Their pastrami was voted “Best Pastrami in the City,” and their breakfast, lunch, and dinner menus feature generous sandwiches and homemade soups. They even advertise Passover specials for those wanting a little help making the Holy Days special! The Hog Shop is pure South Missouri, but it’s the site of some of the best sandwiches you can get. It sounds like a barbeque place, but in fact the “hog” referred to means Harleys, and the whole shop has a Harley-Davidson theme. The sandwiches are freshly made and have generous portions, and the reasonable prices make it a must-stop for locals and travelers alike. Vasken’s Mediterranean Deli opened in Branson in 1997, and then soon after opened another location in Springfield. The core of their menu is based around traditional family recipes, and features hot, cold, and vegetarian sandwiches and Greek pizzas. Brunswick is an old-fashioned small town, and Kaitlynn’s fits right in with that atmosphere. With the high stools set up at the soda fountain counter and glass cases displaying delicious homemade sandwiches and desserts, it feels like a blast from the fondly remembered past. Everyone has their favorite sandwiches, but Kaitlynn herself is famous for her cheesecake, so whatever your meal, don’t miss the cheesecake for dessert! Meshuggah Bagels prides itself on producing kosher deli food so authentic that even a New Yorker couldn’t tell the difference. They use traditional recipes from their Eastern European heritage, and although their menu revolves around bagels, there’s a wide variety of bagel deli sandwiches, each one of them crazy (“meshuggah”) good.